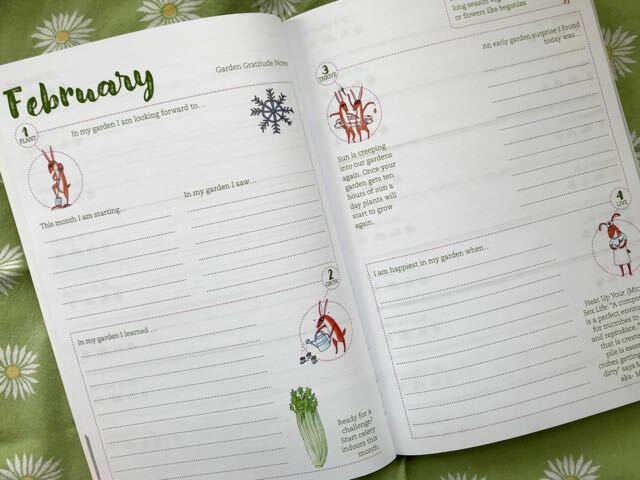 Yes, we publish our own gardener’s journal, but we think there’s room for all of us. Read on and find out how you can win a copy of the new one from B.C. 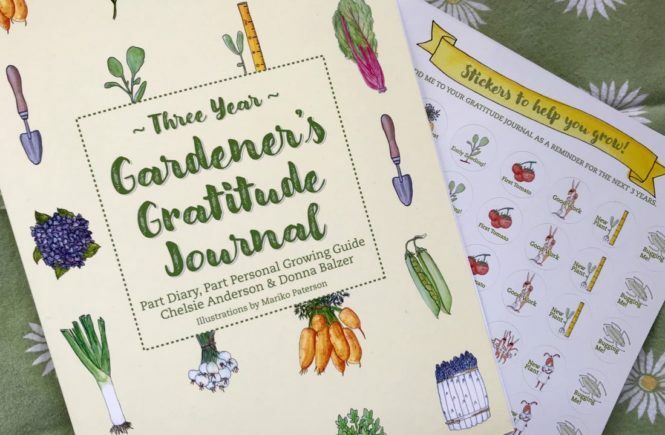 garden writer Donna Balzer and her daughter Chelsie Anderson, The Three-Year Gardener’s Gratitude Journal. Balzer’s journal announces its attitude right from the cover, with fun illustrations by Mariko Paterson. 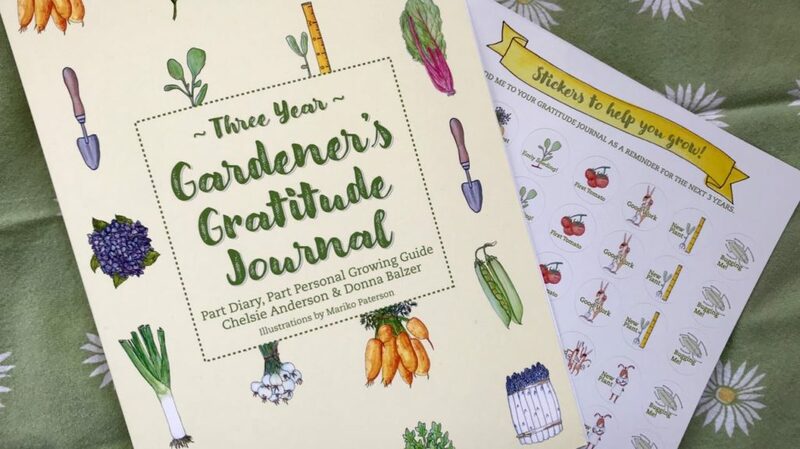 We particularly loved Mariko’s work when we reviewed Donna’s book No-Guff Vegetable Gardening (cowritten with garden friend Steven Biggs) in 2011. They appear again inside and on stickers to highlight your hits or misses. You gotta love stickers, no matter how old you are. I speak from experience. First time out you will need to remember to budget your writing space to leave room for two more years of gratitude. Three consecutive journal entries for every day of the year let you compare your gardening experiences over a three-year arc. Beginning each month is a spread where you can look ahead and back and embrace grateful gardening. I like the not-the-usual gardening quotes after each article. Every week ends with a short article by Balzer or Anderson; sometimes it’s more how-to, and sometimes more a meditation on personal gardening experiences. Each is a quick, friendly read. Think you’d like to have a copy? Leave a comment on this post, and we’ll draw a name at the end of February. Tell us what you’re grateful for! Sorry, this has to be Canadian commenters only. Sadly, the high cost of mailing a book out of the country isn’t in our budget. I would love to win a copy. I am grateful for the opportunity to look after my Mother’s gardens now that I have moved in to keep an eye on her. I have always rented and now I am able to experiment with different plants and not have to leave them behind when I move. I would love to win a copy of this journal. Gardening is my passion and I love to see others share their experiences. I would love to win this book as I’m grateful for the fact that I have a yard in which to garden. My yard is constantly changing as the neighbour’s trees mature and my once full sun backyard becomes an increasingly shaded yard. It is a continuous learning experience. Enjoy your BLOG. Thanks for helping us get through the winter. I am grateful for the opportunity to nurture plants from seed to bloom, especially perennials year after year! I am grateful to receive your blog especially throughout the winter. It reminds me how glorious gardens can be and makes me want to try new plants. I am celebrate my gratitude garden as it grows from sunrise to sunset. My hand is up as this one went on my wish list when Donna received her box o’ books a while back. As for being grateful, in light of the tragedies befalling a few families near us during this horrible flu season, I’m grateful for my family and the act of breathing in the cool, crisp air & simply being. This journal is fantastic. I would love to win this and would make great use of it as I constantly learn and grow as a gardener. I’m truly grateful for many things through my gardening journey, however especially to have a space to build my garden and resources available to build my skills. When I bought my first home I was excited to have a “blank canvas” to work with. I knew minimal about gardening and needless to say I had successes and challenges. Today I list gardening as one of my favourite hobbies, and while I feel more confident as a gardener I continue to want to try new things, learn more and challenge myself. 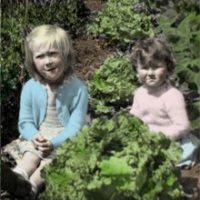 I’m grateful for all the resources available to gardeners such as myself such as this site, expert tips and books like this to grow and track my progress. 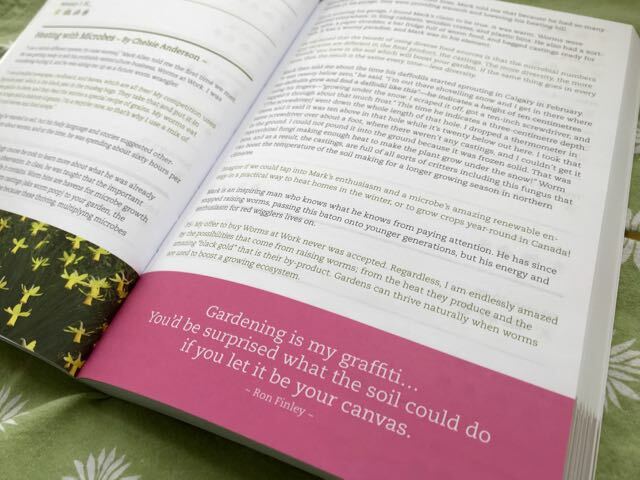 Thanks for the opportunity to win this great journal as it will be a great addition to anyone’s garden tool kit. I’m grateful for all 4 seasons in our beautiful country. I’d love to win the journal, so I could record all the things happening in my garden and the lovely gardens in the city. It’s so nice to receive garden blogs in winter. Thank you. Congratulations, Betty! Please check your email inbox for the good news. Please add me to the list of possible winners. I’m an avid Toronto gardener! !